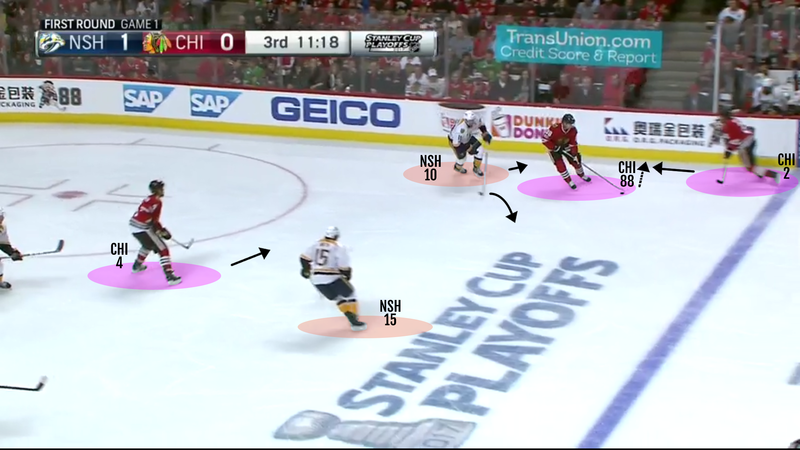 In the last edition of Video Coach, we looked at the concept of playing Total Hockey in the offensive zone where all five players are interchangeable positionally, read off each other, manipulate defenders and create confusion. 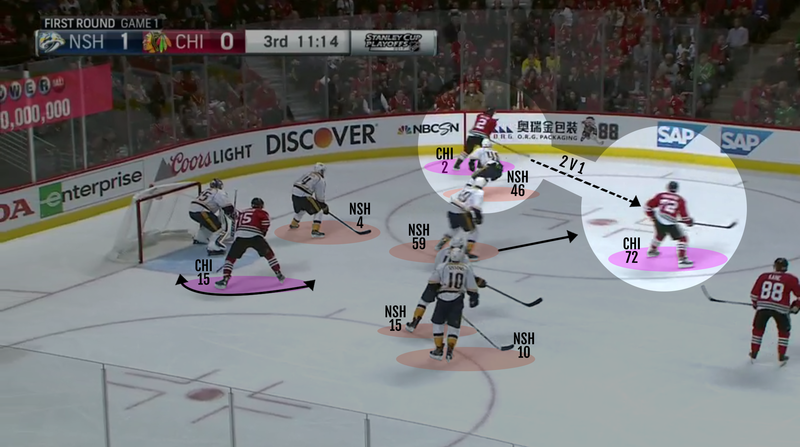 This week we have a similar example that was too good to pass up on – once again, it’s a 5 player attack as they move seamlessly together, filling lanes, creating space to create time, space and defensive breakdowns. This is the 2V1 situation that CHI2 has been looking for! 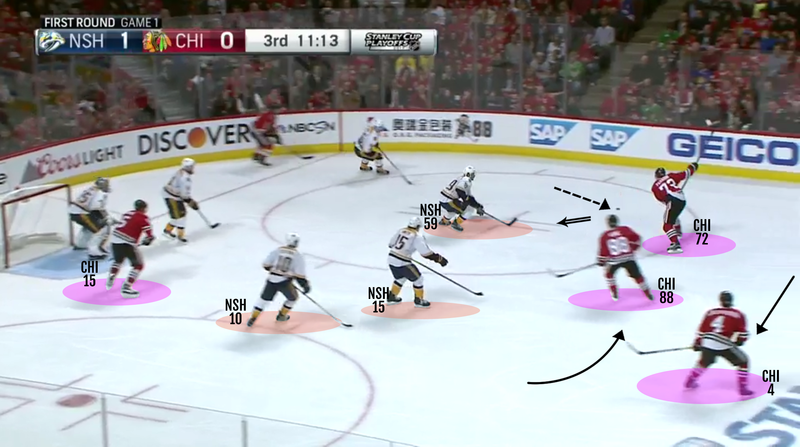 CHI72 shoots on goal and now all CHI players are hunting for rebounds – CHI15 at net, CHI2 from below golaline to net-front, CHI88 through slot and CHI4, high in zone in middle of ice. 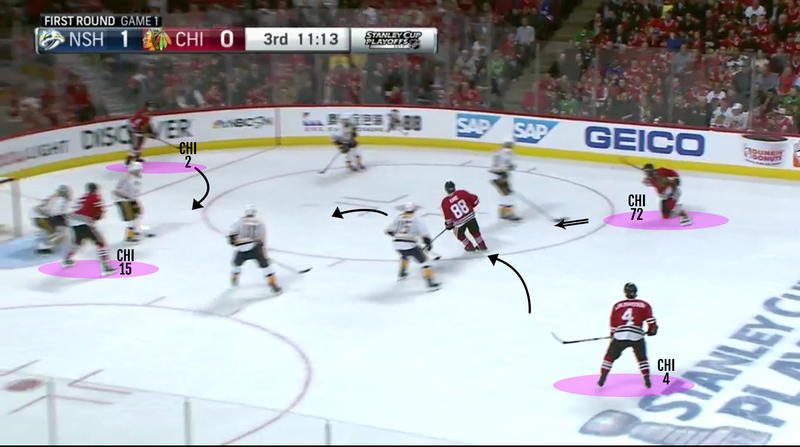 Watch the video again to see how movement with and without the puck along with a willingness to rotate and fill space creates a great scoring opportunity. 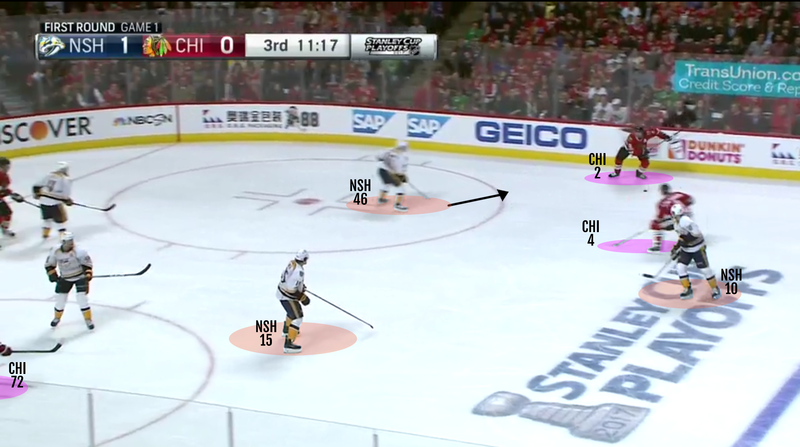 Important to note that there is a major breakdown by NSH – no one is beat in a 1V1 situation, but there is a hesitation for the net-front D-man to cover a player so high in the zone. 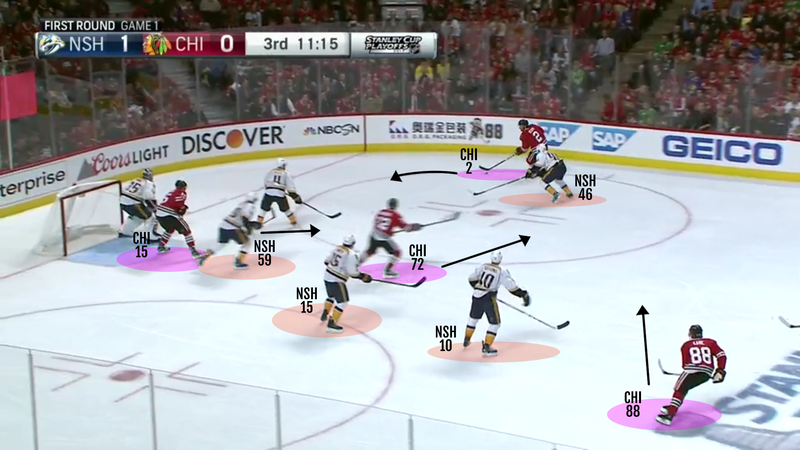 The rotation creates the 2V1 mismatch and more TOTAL Hockey.